Beerwah Hideaway offers the seclusion and tranquility of over 2.5 acres of gardens set amongst the rainforest and is located among the Glasshouse Mountains in the Hinterland. 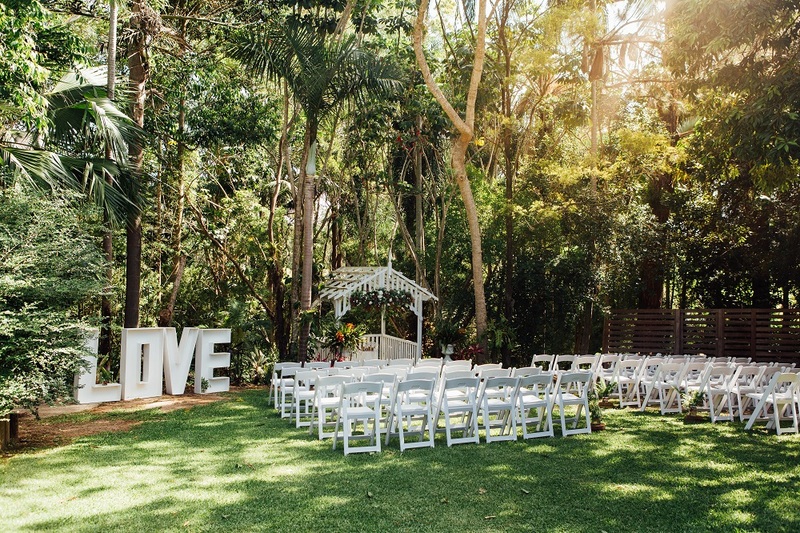 With expansive gardens, a purpose built function room and luxury accommodation for up to 14 guests, Beerwah Hideaway offers the convenience of holding your entire wedding in one location. The modern air-conditioned function room with floor to ceiling glass frontage overlooking the garden chapel and rain forest deck makes a stunning backdrop for any occasion. The Hideaway becomes even more spectacular at night, with romantic lighting throughout the chapel and garden.